Make music and learn your alphabet at the same time. 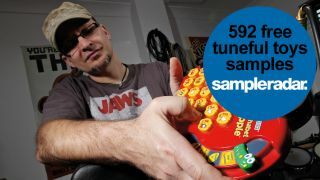 The tuneful toys samples are divided into eight folders, each of which is labelled according to the type of sounds it contains. The tuneful toys samples are supplied in a zip file, so you'll need to extract them before you can see them. Enjoy!